The beautiful younger woman who appeared so unexpectedly, so gloriously, in Michael Coolidge's life one night--a seemingly chance pick-up at a quiet neighborhood bar--vanished just as suddenly a few days later, leaving him dazed and bewildered. 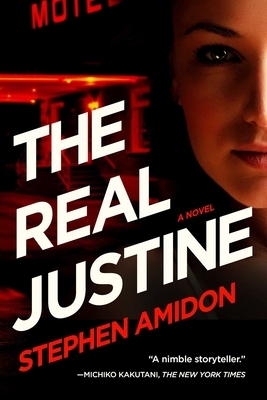 Months later he chances upon Justine on a village street, locked in a violent quarrel with a menacing stranger--a day later, that man is found dead in a seedy motel and Justine has disappeared again, leaving behind only a hasty plea for help. Michael's efforts to locate her, or to find out something more about her elusive past, yield only further mystery, a confusing web of lies, manipulations and false leads. Who is the real Justine? Downtown art world sophisticate, or small town innocent? Victim or predator? Someone he can trust, or someone he should actually fear? This spellbinding psychological thriller confounds the reader at every turn, constantly causing us to revise our assumptions. It's a fascinating study in character and a relentless, ingeniously head-spinning story--all deliciously unresolved until the very last page.